Jack Mason was Hollywood's top stuntman, on the verge of an above-the-line credit, and all the benefits of the A-List. Instead, he becomes a victim of the "Red Scare", and loses everything after being branded a communist. In order to clear his name, Jack decides to play the hero and give Hollywood one heck of a show. As the costumed adventurer Mysteryman, Jack travels a treacherous path through the bright lights and corrupting shadows of Tinseltown. 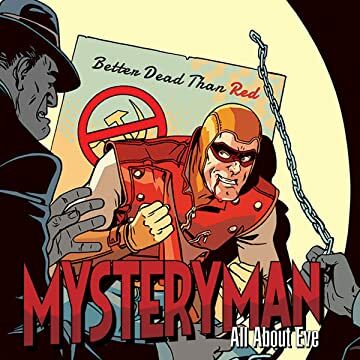 MYSTERYMAN: ALL ABOUT EVE features one of Mysteryman's earliest exploits as he quickly learns the real-life dangers of acting as a hero. Both a pulp adventure in the vein of RAIDERS OF THE LOST ARK, and a noir reminiscent of L.A. 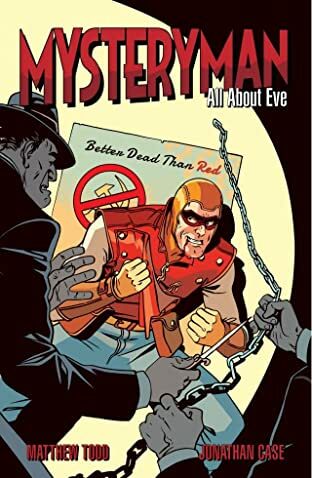 CONFIDENTIAL and THE MALTESE FALCON, MYSTERYMAN: ALL ABOUT EVE is a genre-bending action tale set during a volatile time in American history.